Richard L. Sendelweck, age 80, of Ireland, Indiana, passed away at 5:26 p.m. on Thursday, September 13, 2018, at Deaconess Hospital in Evansville, Indiana. Richard was born in Otwell, Indiana, on April 25, 1938, to Philip and Meta (Eck) Sendelweck. He married Rita Wiseman on December 18, 1956, in St. John’s Lutheran Church in Boone Township. He was employed at the bank of Ireland for 30 years and then worked at D & B Auto Sales for 30 years. 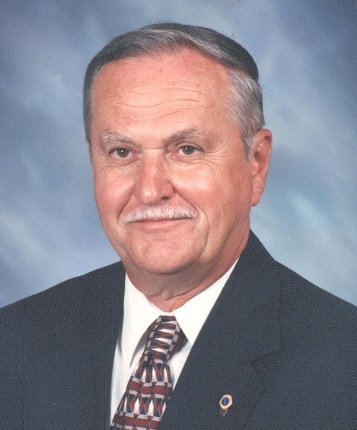 He was a member of St. John’s Lutheran Church in Boone Township, where he served on the church council and ran the cemetery trust fund for over 25 years, Ireland Sportsman Club and was a member of the Ireland Lions Club for over 50 years, where he also served as past president and treasurer. He was an avid St. Louis Cardinals fan and enjoyed spending time with his grandchildren, working in the garden, and fishing. Surviving are his wife Rita Sendelweck, Ireland, IN, two sons, Dave (Jan) Sendelweck, Otwell, IN, Jason (Brandi) Sendelweck, Ireland, IN, three grandchildren, Alyssa and her husband Matt, Kassidy, and Cody and his wife Madi, one great granddaughter, Emma, and two great grandchildren on the way, three sisters, Janice Lemond, Terre Haute, IN, Wilma Jean (Bill) Hoffman, Ireland, IN, and Kathy Goss, Jasper, IN. Preceding him in death are one son, Rick Sendelweck, one grandson, Jason Meyer, and two brothers, Daniel and Albert Sendelweck. A funeral service for Richard L. Sendelweck will be held at 11:00 a.m. on Monday, September 17, 2018, at St. John’s Lutheran Church in Boone Township, with burial to follow in the church cemetery. A visitation will be held from 1:00-7:00 p.m. on Sunday, September 16, 2018, at the Becher-Kluesner North Chapel in Jasper, Indiana, and one hour before services from 10:00-11:00 a.m. at the church on Monday. Memorial contributions may be made to St. John’s Lutheran Church, St. Jude’s Children’s Research Hospital or to a favorite charity. Be the first to comment on "Richard L. Sendelweck"